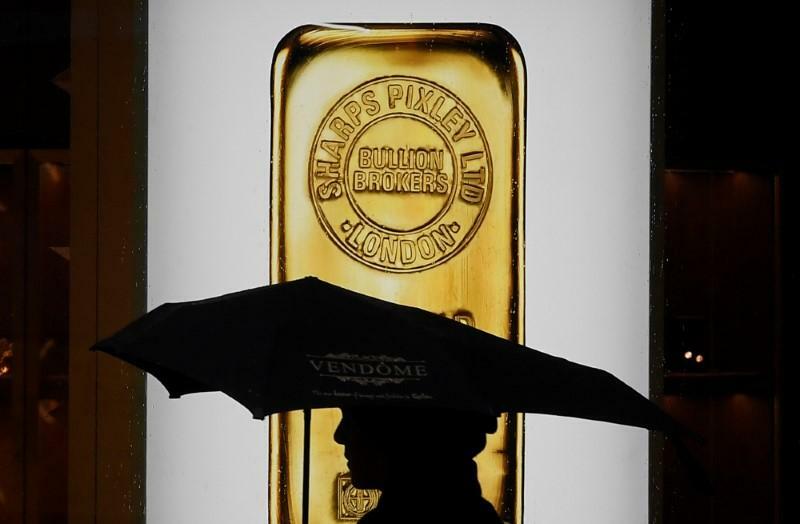 BENGALURU (Reuters) - Gold traded steady in early Asian trade on Friday, after hitting a one-month high in the previous session on the European Central Bank's decision to keep interest rates steady through the summer of 2019 and looming trade worries. ** Spot gold was unchanged at $1,301.31 per ounce at 0047 GMT. It touched its highest since May 15 at $1,309.30 an ounce on Thursday. The metal was on track for a second straight weekly gain. ** U.S. gold futures for August delivery were 0.2 percent lower at $1,305.10 per ounce. ** The European Central Bank will shut its hallmark bond purchase scheme by the close of the year, taking its biggest step yet towards dismantling crisis-era stimulus a decade after the start of the euro zone's economic downturn. It also sees interest rates steady "at least through the summer of 2019"
** U.S. President Trump has made up his mind to impose "pretty significant" tariffs on Chinese goods, an administration official said on Thursday, as Beijing warned that it was ready to respond if Washington chose to ratchet up trade tensions. ** Tough sanctions will remain on North Korea until its complete denuclearisation, the U.S. secretary of state said on Thursday, apparently contradicting the North's view that the process agreed at this week's summit would be phased and reciprocal. ** China's economy is finally starting to cool under the weight of a multi-year crackdown on riskier lending that is pushing up borrowing costs for companies and consumers, with data on Thursday pointing to a broad slowdown in activity in May. ** Japan's central bank will likely debate on Friday structural factors that may be dragging on inflation, which has been disappointingly weak and could make talk of an exit from ultra-loose monetary policy a distant prospect. ** German technology group Heraeus [HRHLD.UL] will open a precious metals refinery and recycling plant in China in September to take advantage of the country's rising demand for platinum group metals.